Ingestrand Camping on the shore of the Glafsfjorden is a true pearl for both enthusiastic sports fishermen and for families looking for a glorious sojourn in Swedish nature. We offer high quality lodgings in excellent cabins with a lovely view but a stone’s throw from the waters. Your lodgings are only a few minutes from some of the best fishing sites for pike, pikeperch and perch. At Ingestrand Camping we speak Swedish, English and German fluently. Hiking trails, swimming and canoe. Central Arvika offers restaurants, shopping, museum and cinema. 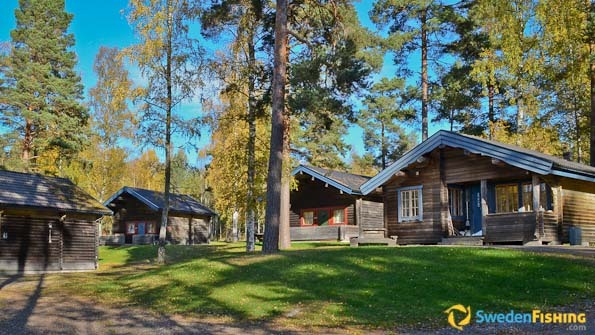 The Klässbol Linneväveri (linen weaving mill) lies only 15 minutes from the camping area and the Glaskogen Nature Reserve is only 30 minutes away. We offer high quality lodgings close to the best fishing sites! Perfect for both families and enthusiastic anglers. In the local lakes around Ingestrand we focus on pike, pikeperch and perch. Records from the area; Pike – 115 cm in Glafsfjorden, May 2012, Pikeperch – > 6 kg. Our fishing guests live in large, authentic cabins and fish either from their own boat or from one of our Linder 440 Fishing boats with Yamaha motors. The boats are all fitted with anchors and oars. You can borrow life jackets and guides are available, both for spin-fishing and trolling. Jerk and spin for pike in the shallows is excellent in both spring and autumn with large shallow areas near the camping area. Pelagic trolling for pike during the warmer months is good, while vertical fishing for both pikeperch and perch can be highly successful. Pike – max/min 50-80 cm. Max one fish per cabin each day. C&R for all other fish. Perch – maximum limit 37 cm. C&R for all fish. Pikeperch – Max/min 50-70 cm. Max one fish per cabin each day. C&R for all other fish. The Ingestrand Camping self-catering, six-bed cabins lie close to the shore. The 57 m2 cabins are winter insulated and offer shower/WC, wood stove, TV, microwave and a kitchenette. The beds are distributed in three rooms (3+2+1). There is a 20 m2 self-catering cabin as well with four beds, all in the same room. It is also winter insulated and offers shower/WC, TV, microwave and stove. 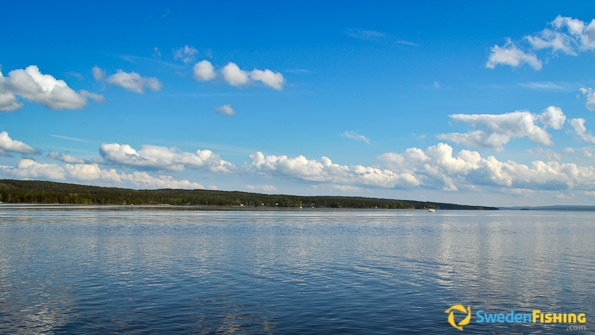 Ingestrand Camping is located some 5 km S of Arvika in Värmland Province. Distances; 157 km E of Oslo Gardemoen, 274 km NE of Göteborg, 387 km W of Stockholm/Arlanda, 76 km N of Karlstad.